Available in a range of pack sizes, these awesome almonds are great for lunchboxes, cooking or baking, or perfect as an addictively moreish (and nutritious) party snack! 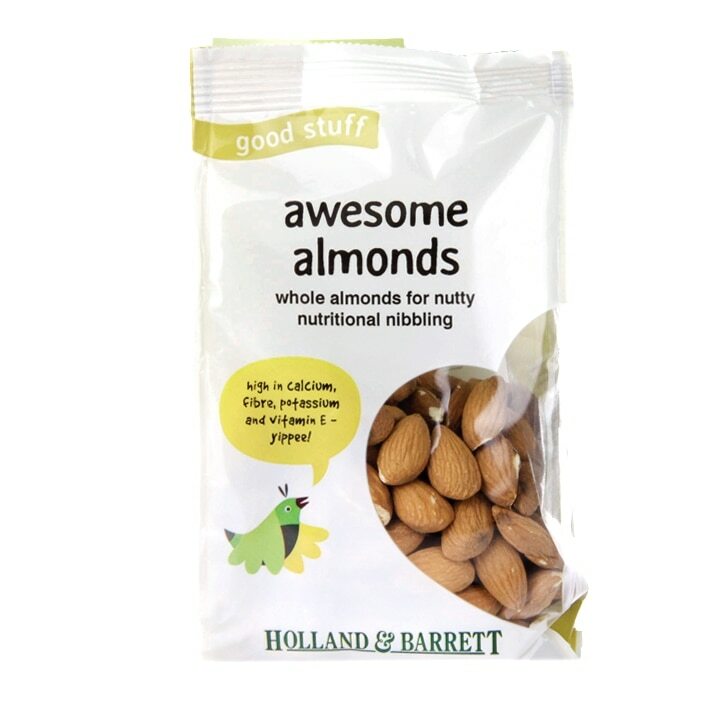 Holland & Barrett Almonds is rated 4.6 out of 5 by 173. Rated 5 out of 5 by Worrall from Great Great product use them to make milk for breakfast. Rated 4 out of 5 by Magic granny from Fresh and tasty Prompt delivery and well packed. Fresh products, all good. Rated 5 out of 5 by Clemp from Perfect quality I'm buying several nuts from H&B for years now and I'm never disappointed. The almonds are good and natural, nothing added so perfect !